Summer is in full swing in Central Arkansas, and with it, I felt that it was time to have a good hamburger. 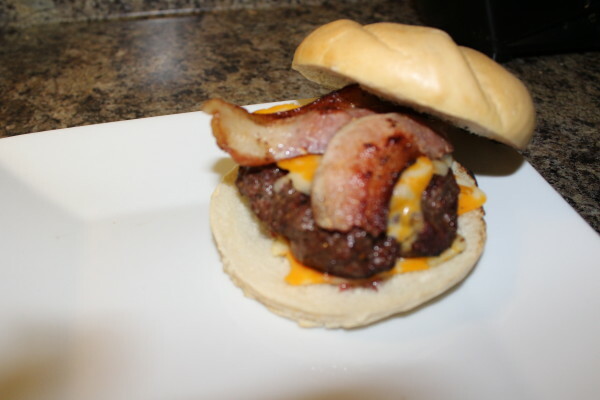 This wasn’t just any hamburger though, it was seasoned to perfection, two pieces of gooey cheese, with two pieces of perfectly cooked bacon on top, all sitting between tow pieces of fresh kaiser rolls. Served along side of baked regular and sweet potato fries. 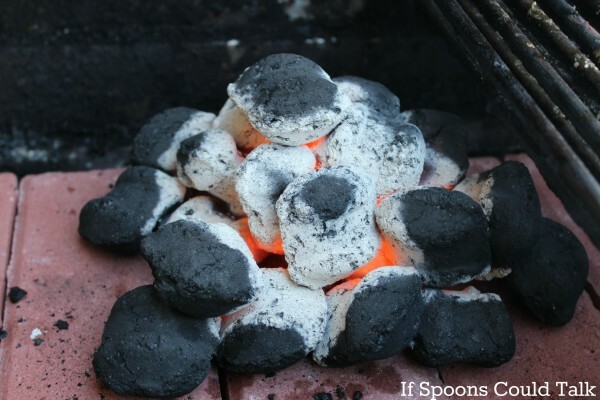 I grew up with my Dad always using a charcoal grill of some sort and the smell and flavors take me back to childhood. Since we moved here a couple years ago we have only had an electric grill, while I have no complaints of anything Hubby has made out there for me, I had missed the charcoal taste. A few months ago he decided to convert an old electric grill we had to a charcoal grill. With these burgers, we finally got to try it out, and it worked great. 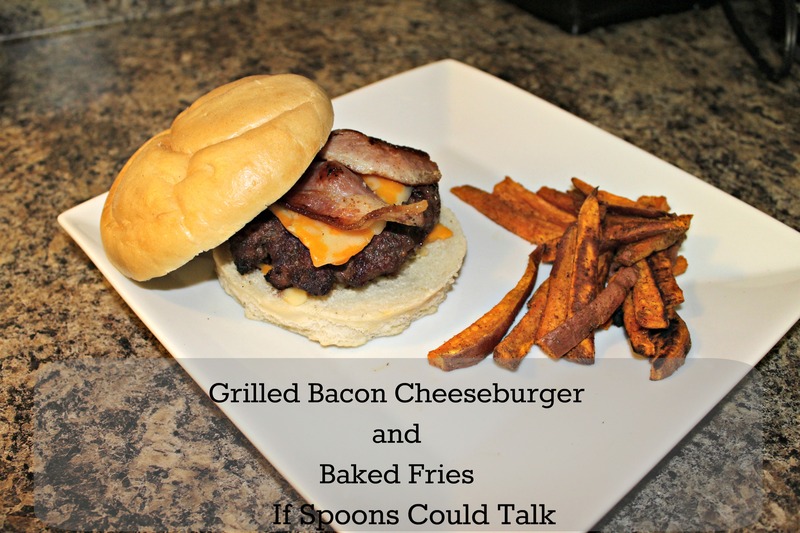 Here is our burger recipe seasoning and what we did, I hope you enjoy! 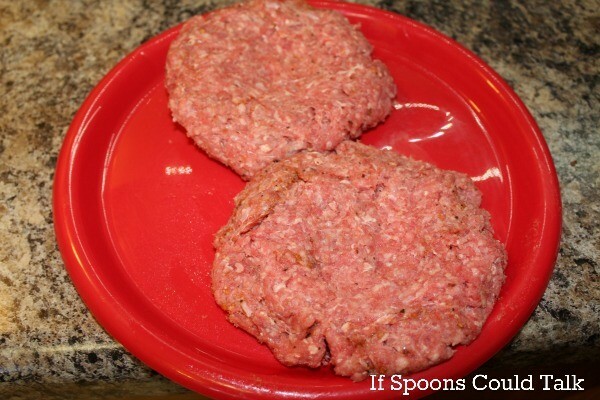 Mix hamburger meat and seasoning. Divide in half and shape into patties. 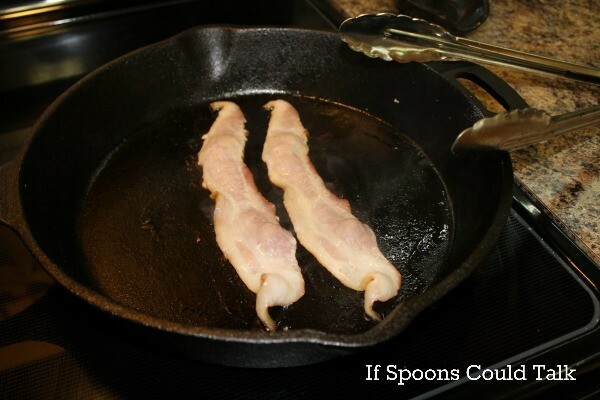 Cook bacon in skillet. Don't let it get to crispy. 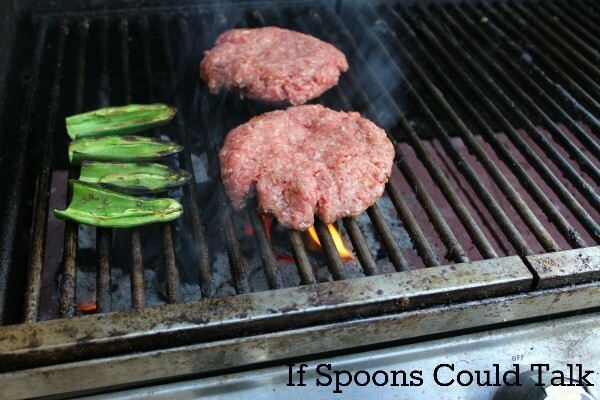 Once your grill is ready to go, place patties over the coals. 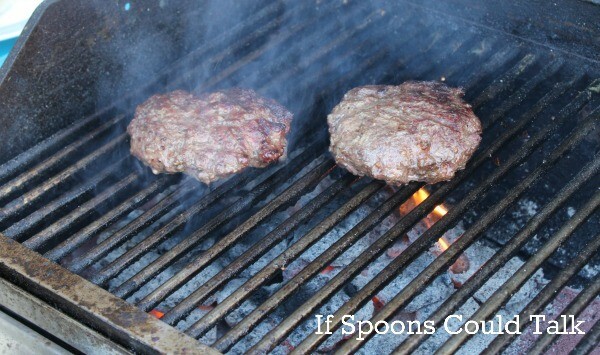 Cook until they reach a 140°F for a medium burger. 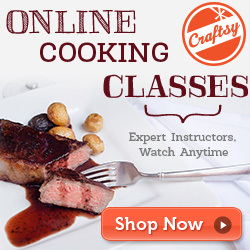 Be sure to flip two or three times to cook evenly. Slice rolls in half. Toast rolls on grill when patties are almost done. On the bottom slice lay a piece of cheese on it and set on the plate. Lay a piece of cheese over each patty. 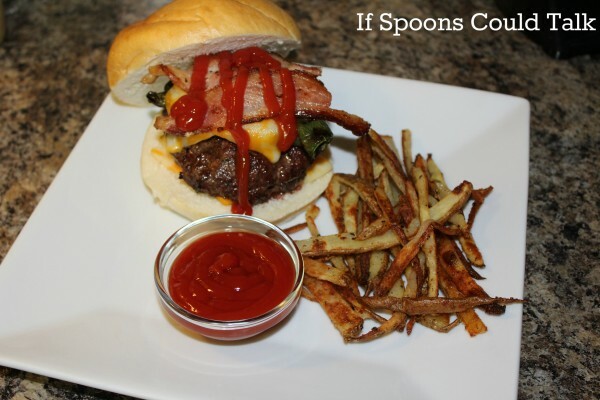 Add on the bacon, slice each piece in half so that the burger has two pieces. Top with the other roll. 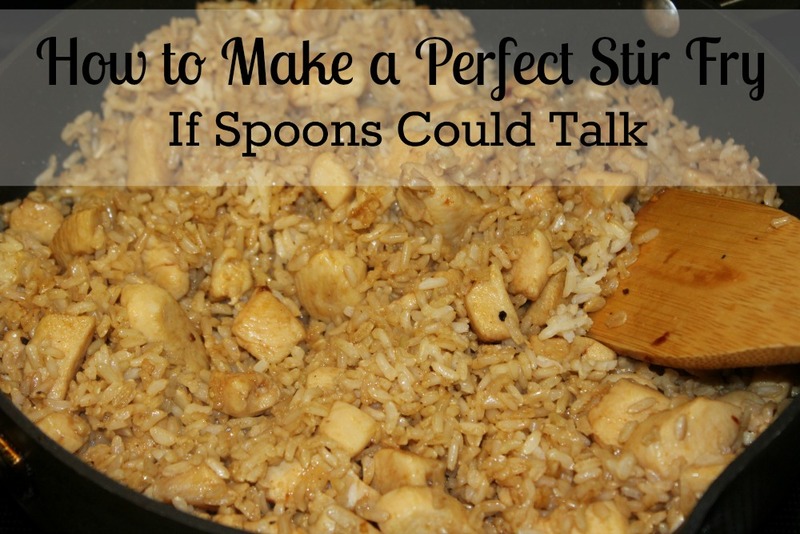 Slice potato into thin sticks. Place into a bowl. Add in seasonings and toss. 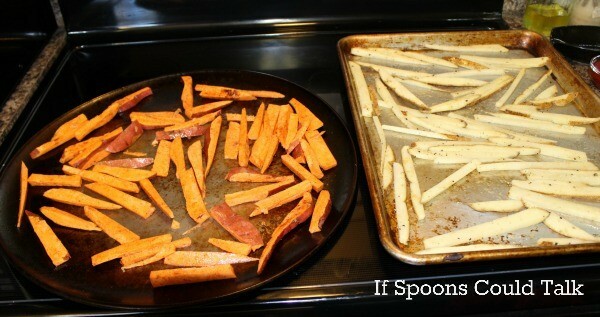 Lay out the fries on a baking sheet and bake for 40 minutes at 425°F. Stopping at 20 minutes to move them around. Hubby added grilled jalapenos to his burger. To grill remove the stem and seeds and grill for 20 or so minutes until tender.